I sidled up to the wall. Pressing my body flat against the cool plaster leaving damp skin impressions where ever I stopped. Turning to face the wall, I leaned my head just as little as possible to peer out the window. Daring to peek where at things I should never have been interested in to start with. With every glance, absorbing more information. Each daring look made it that much more difficult to go back to the way things had once been in my mind’s eye. Or at least, the way I had thought them to be. But, I digress. I should probably start somewhere near the beginning of how this all came about. I am a middle aged woman with a quick laugh and a vivid imagination. I have taken up writing short stories which seem to pour off my fingertips, without much forethought or outlines. I just sit down and let my hands move across the keyboard. I thought it was a benefit based on years of reading. Without meaning to brag, I have been gifted with a moderately quick mind. I can grasp the meaning of the scientific written word, retain the meaning, and regurgitating in layman’s terms. I like to think I speak two languages. My older brother used to have me read his owner’s manual for the 1963 Spitfire so he wouldn’t put parts back together incorrectly. I worked in the Engineering department for a small manufacturing plant, teaching myself and then others how to run new equipment. Often, by reading the manual, I would teach them short cuts and new uses for the same equipment. With the type of brain that is analytical, one would think I could not enjoy fantasy. Quite the contrary, I can immerse myself and forget everything else around me. I am the story when I read. As it is when I write. I found myself walking in the woods, minding my own business, looking for morel mushrooms, one find spring day. When I came upon a circle of toadstools. Admiring the work of Mother Nature, I acknowledged her work aloud. 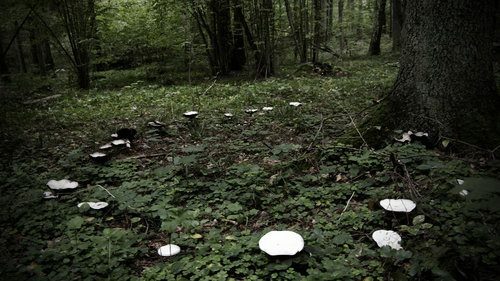 Praising the color and finery of the toadstools and the symmetry of the circle. I even went so far as to praise Mother for such a beautiful day that would take me into the woods to witness such a site. And that’s when it happened. I was pushed. I’m telling you now, a hand pressed onto the small of my back and I was pushed. I had perpetuated the old Faerie tale of not stepping into a Faerie Circle. I had laughed and snickered as I taunted the smaller children, when I was young. But a hand pushed me into the center of the Faerie Circle! Stumbling, I quickly spun around and saw no one there. I brushed at imaginary lint on my sleeve while searching around with my eyes. I saw only large elm, poplar, bass, maple and oak trees. I heard rather than saw the birds. There was not another person around. Then someone said, “Hello.” I nearly jumped out of my skin! The voice was not that of any of my siblings, I had to assume it was someone trespassing on our property. Slowly I turned around searching for the voice with my ears and eyes. I saw no one. As I spun, I kicked one of the toadstools. As the droplet of dew fell from the toadstool, it mixed with the dark fertile earth. It began to vibrate, then swirl, growing larger and larger until it was at least 8 inches tall. This tiny tornado took on the colors of the rainbow, glistening in the sunlight. As the spinning began to subside, a figure emerged. She appeared to be everything I had ever read about Faeries! I dropped my bucket of morels. “Hello.” She said again. Gathering my wits, I acknowledged her presence with a nod. No words could escape my mouth yet. She began to flit her wings and soon rose to look me in the eye. “You have been chosen to witness our celebration.” As she flitted the shimmer of her iridescent skin turned from shades of green to shades of blue and purple and then yellows and gold. It was difficult to look right at her. If you asked me to describe her face, I don’t think I could as it rippled and mutated. So, here I am. Witness to the debauchery of the Fae. I had heard they consorted with birds. I had heard they saddled and road the toad but never expected to witness bullfrog riding. I had heard a human should never listen to their music, with that in mind I do have on my i-pod for protection. I lean against the wall, sweating and nervous. I lean against the wall, wide eyed. The iridescent landscape of inebriated Fairies is terrifying. For if the tales are true…we must all take heed while in the woods. Take heed to stay out of the Faerie Circle. You need to paint every inch of every piece of paper she uses, front and back. 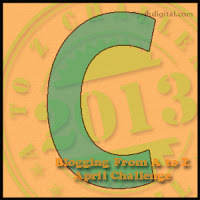 Today we were stamping the letter C, and she had the most beautiful circles surrounding her. To get more info please visit writing-essay.org/about-us.